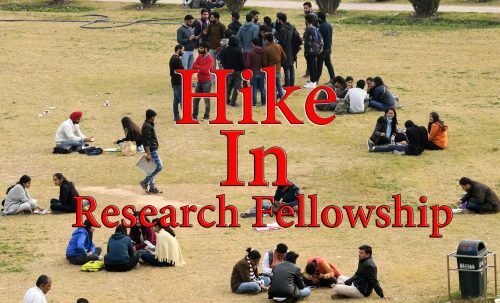 With effect from January 1, 2019, Central Government has enhanced the fellowship of Ph.D students and other research personnel enrolled in any area of science and technology, including Physical and Chemical Sciences, Engineering, Mathematical Sciences, Agricultural Sciences, Life Sciences, Pharmacy etc. Congratulating research scholars, Union Science & Technology Minister, Dr. Harsh Vardhan said that Ph.D scholars, working in science and technology, are the most significant contributors to the knowledge base of the country for its industrial competitiveness, academic vibrancy and technology led innovations.Emphasizing on the commitment of the government Dr. Vardhan said that improving the value of Ph.D research cannot be a one-time exercise but requires constant input and efforts which the Government is fully committed to undertake. Government has ensured that this empowering mechanism is uniformly applicable across all the fellowship granting Ministries, Departments, Agencies and Academic and Government R&D Organizations of the country. Science & Technology is a fast moving area in which a dynamic and holistic vision is required to secure the future of the nation.